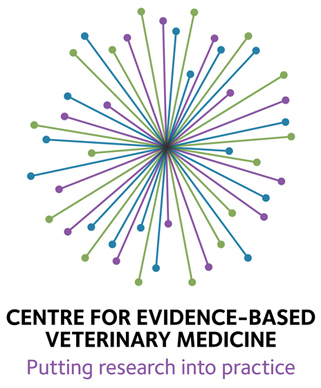 ← EBVMA Podcast- What Is Evidence-based Veterinary Medicine? Way back in 2012, I wrote about a lawsuit filed by Hemopet, an organization known primarily for being a non-profit blood bank but also involved in some unconventional laboratory testing (as Hemolife) and alternative medicine ( as the Hemopet Holistic Care Center). This founder and director of this organization is Dr. Jean Dodds, about whom I’ve written several times as she is a prominent advocate for a number of alternative medicine practices. Dr. Dodds, via the Hemopet organization, has filed a number of patents for her unconventional diagnostic tests (involving thyroid disease testing and food allergy detection) and for her proposed method to use genetic data to predict the appropriate diet for pets. She originally sued a couple of pet food companies (Purina and Hills) claiming that the very idea of “nutrigenomics,” or using genetic information to formulate diets, was owned by her through these patents. Though I have since reviewed in detail Dr. Dodds dubious claims about nutrigenomics, her bogus food allergy testing process Nutriscan, and her misleading “studies” on vaccine dosing for small dogs (here and again here), I had lost track of this lawsuit. However, a recent VIN News article about Hemopet drew my attention back to the organization. This article was actually not about the lawsuit but an unrelated issue. Apparently, Hemopet had been pushing the State of California for a tax exemption and implying that its blood-banking service might have to close if the exemption wasn’t granted. The legislation granting the exemption was passed by the legislature but vetoed by the governor. However, Hemopet now says it will remain in operation and will continue to press the state not to require it to pay some $81,000 in back taxes. This is an interesting subject in its own right. The relationship between the blood bank, diagnostic laboratory, and clinical practice isn’t entirely clear from the Hemopet tax and non-profit filings available on the California DOJ web site. Perhaps something I’ll investigate another time, but as a vet rather than a tax attorney, I’m not sure I can make heads or tails of such issues. In any case, the subject did draw my attention back to the lawsuit I originally wrote about, and this led me to find the subsequent developments I’m reporting here. So what appears to have been patented here is the idea of collecting a wide range of pieces of information about an animal in a computer, passing it around to people, and using it to “reduce morbidity and mortality, and improve the quality of life and lifespan” in companion animals. It’s hard to see how this could be a patentable idea, or even truly original apart from the unsubstantiated general claims about the links between gene sequences and health, but again I’m not expert in patent law. despite a list of scientific papers included with the patent application (but not used as specific citations to support particular claims), it’s not clear that there is an actual preventative or therapeutic healthcare intervention here…it’s a bit baffling how these two organization can compete for ownership of an idea which doesn’t really exist in a tangible form yet…It does seem, however, like putting the cart before the horse, since who gets to profit from a new approach to health and nutrition should at least have something to do with whether the approach actually works and who has done the work to demonstrate this. …the formulation and preparation of pet food is nothing more than an extension of the abstract idea of “determine” a dog or cat’s diet. The creating or formulating processes directed in the claims are couched in the most general terms, lacking any specifics that would allow a practitioner to learn how to actually develop or produce such a diet…Therefore, all of the claims are squarely within the realm of “abstract ideas” as defined by the Supreme Court. 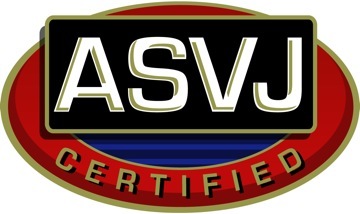 Only the final step, “determine a nutritional diet for the canine or feline companion animal; and formulate and prepare a nutritional diet product based on the relationship,” relates to the creation of a “different state or thing.” However, whether considered individually or in combination with the other steps, the claims do nothing more than instruct the practitioner to implement the abstract ideas of the first few unpatentable steps in the final step…This is nothing more than telling the practitioner to “apply it” in general terms. Hemopet’s claims do not describe in detail a step-by-step method for developing a nutritional diet product. [Hemopet’s] claims simply recite the abstract concept of determining a nutritional diet for a dog or cat based on naturally occurring relationships and fail to include any express language to define how the nutritional diet is actually formulated, developed, or produced. For these reasons, the Court finds that the claims at issue are drawn to a patent-ineligible abstract idea. The bottom line is that in addition to being scientifically dubious and unproven, Hemopet’s claims about Nutriscan are vague and amount to no more than a rearranging of established and theoretical ideas about genetics and nutrition, not a specific and original process for selecting and formulating a diet. As such, they don’t qualify for patent protection. This judgement was upheld by the appellate Circuit Court in September, 2015. I have not been able to ascertain what happened with the separate lawsuit on the same grounds filed against Nestle Purina Pet Care, Inc. If anyone with greater legal research skills would like to look into this, I’d be interested in the outcome. However, it appears likely that the outcome of that case was substantially the same as the case against Hill’s, because now Hemopet has filed an appeal in the Hill’s case with the U.S. Supreme Court. Given that Hemopet’s claims appear vague and unpatentable even to me, and more importantly to the far more qualified judgement of the state district court judge and the federal appeals court judges, it is hard to imagine the Supreme Court granting this appeal. Of course, even if it does that won’t speak at all to the scientific legitimacy of the ideas Hemopet claims to own. But even from a scientific perspective, the ownership of general ideas seems counter to the spirit of scientific discovery and likely to impede research and discovery. I think it far more likely that beneficial therapies and inventions will come from allowing widespread dissemination of ideas and information and from research by many different and competing parties. Legal (civics) nit re the penultimate paragraph: There’s no such thing as a “Federal District Circuit Court” in the federal court system. In our federal court system, district courts are the first level of decision (commonly thought of as the “trial court,” though in this case a decision was made pre-trial). The circuit courts are the intermediate appellate courts (the second level of decision, reviewing the district courts’ decisions). The U.S. Supreme Court reviews the decisions of the circuit courts, but this review is discretionary (meaning most circuit court decisions are not accepted for review by the Supreme Court of the United States). The District Court for the Central District of California entered judgment (granted summary judgment). Then the case went up to the U.S. Court of Appeals for the Federal Circuit (in Washington, DC) on appeal, as the Federal Circuit has appellate jurisdiction over all patent cases. That appellate court summarily affirmed the lower court’s judgment (this means it did not give a reason for the affirmance). Also, the first document you linked to is a petition for certiorari (review), asking the U.S. Supreme Court to reverse the Federal Circuit. The Supreme Court denied this request earlier this year (which means the district court’s decision became final). Excellent, thank you very much for the information and the correction! Definitely straying outside my area of expertise here. If you are so inclined, I wonder if you could access the order dismissing the suit against Nestle Purina? I would be curious if the reasoning, that the patents at issue were invalid, was also present in that decision. I looked at the Hemopet v. Nestle docket in a legal database. The last court filing by the parties is a stipulated dismissal filed 12/23/13 (meaning they both jointly asked the court to end the case). That looks to me like the case probably settled. That’s just an educated guess, and I cannot speculate on the terms of the presumed settlement (settlement agreements are often confidential in commercial litigation–they aren’t filed with the court). In addition to Hemopet’s claim against Nestle, there was also a counterclaim by Nestle against Hemopet, so there’s no way to know who paid whom (or if they all just walked away). You might reach out to Nestle Purina’s public relations department and see if they’re at liberty to give you more information. That Nestle case ended in late 2013, about a year before the order in the Hills court order invalidating some of the patent claims. That means that the Hills court findings had not yet been made, and thus could not have possibly been at issue in the Nestle case. In fact, the Nestle ended BEFORE the court reached the merits of evaluating the patent claims (called “claims construction”). IT IS HEREBY STIPULATED and AGREED by and between Plaintiff Hemopet (“Plaintiff”) and Defendant Nestlé Purina Petcare Company (“Defendant”), and by its attorneys, that pursuant to Fed.R.Civ.P. 41(a)(1)(A)(ii) and (c) Plaintiff’s and Defendant’s claims and counterclaims against each other in the above-captioned action be, and they hereby are, dismissed with prejudice. Each party shall bear its own costs and attorneys’ fees. I am not a lawyer but after following this for a couple years and looking at their taxes it’s obvious to me that they don’t care if they win or lose the lawsuits dr. Dodds husband is on the board of the foundation they file lawsuits in win or lose hemopet give him the money it’s just another way to rake in money frivolous lawsuits.. if you haven’t seen the news in the last few days check out peta’s expose about them. I disagree with Dr. Dodds about many things, but the allegations by PETA are not consistent with anything I’ve heard from other, more reliable sources about the donor colony at Hemopet. PETA obviously has a fundamental philosophical opposition to the idea of a blood donor colony, and they tend to think anything they disagree with is automatically “abuse,” but that’s not a widely held view. skepvet, I doubted it also, 3 years ago i began investigating. I am not a PETA fan. can I email you some info, no need to publish this but if you have an email Ican send some pdf’s and jpg’s? I’ve seen the video and photos PEAT has posted publicly, and I have to say there are things that could easily be taken out of context or spun in a misleading way. I know that Hemopet has invited reporters in to tour the facility since the recent news article came out, and they did not come away with the same impression as the “undercover” person from PETA. If there is anything more substantive that warrants an animal cruelty investigation, it would be more useful to submit it to the appropriate authorities for a formal investigation than to send it to me privately. Based on this kind of third party reporting, I honesty can’t make a judgement on the adequacy of the care the donor colony dogs receive, so I would think a public investigation would be the next step if you have information beyond what is already public that concerns you.